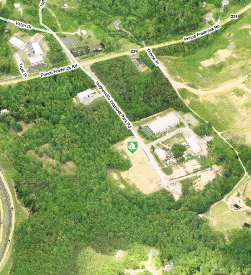 8.03 AC Centrally located in Hughesville, Industrial Park, off the hub at Rt.5 & Rt. 231, 8 ac of which 4 ac +/- is cleared and at rough grade, much engineering is done on the site. Underground drainage and stormwater management pond installed. Plenty of sewage easement for over 20,000 sq. ft building. Easy site to develop, 30 min. to 495.